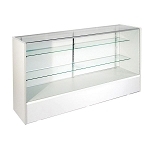 The Economy SC Series Jewelry Showcase Is One Of Our Most Popular Display Cases For Jewelry And Accessories Stores. 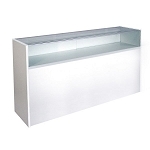 With A 10" Front Glass Display Makes It The #1 Choice For Our Customers Who Are Wanting To Display Merchandise With Detail Work. 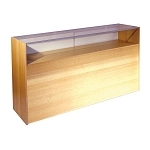 The 10" Tall Front Glass Display Gives You The Ability To Display Merchandise That Has Detail Work By Having The Merchandise Closer To Customers View Point. 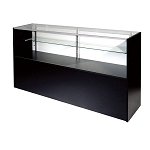 This jewelry Showcase Also Has A 18" Tall Storage Cabinet In The Back To Stock Up With Inventory. 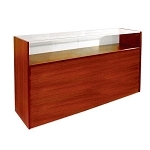 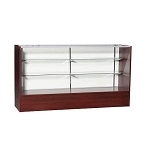 This beautiful Display Jewelry Case I Ideal For Jewelry Stores And Any Other Retail Store. 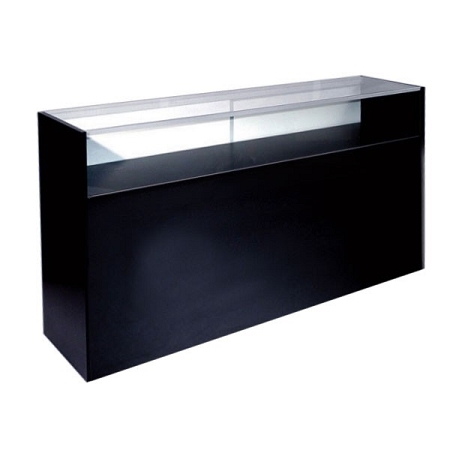 The Beautiful Economical Priced Showcase Comes In Black, Cherry, Maple, Walnut, And White, You Can Also Choose Different Lengths of 48" Long, 60" Long, and Our Most Popular Size 70" Long.